Details Italian Yellow Earth is a natural iron oxide hydroxide mineral (goethite) from quarries in northern Italy. 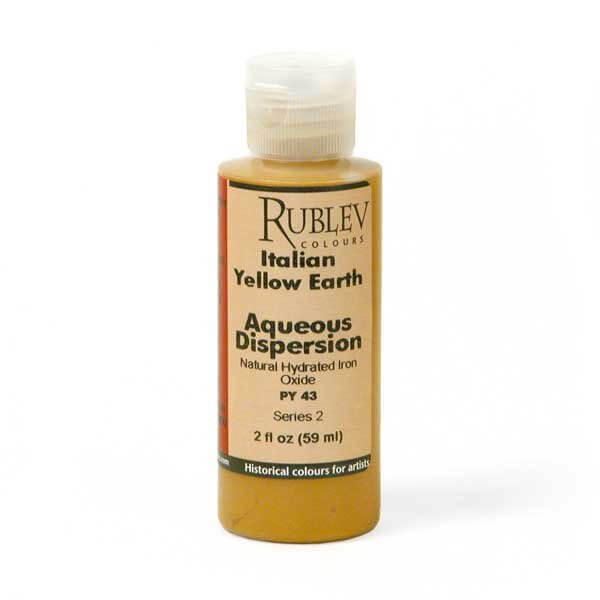 It is a deep yellow that is semi-transparent, permanent and works well in all mediums. Italian yellow earth is a natural earth containing clay tinted by hydrated iron oxide and is composed of goethite and traces of clay, gypsum or manganese carbonate. Historically, yellow earth was designated by the mineral name limonite. Limonite, however, is not a true mineral, but a general term used to describe all forms of hydrated iron oxide minerals (α-FeOOH) that occur as natural earth. Limonite includes the minerals goethite, akaganeite and lepidocrocite. The names for yellow iron oxide pigments are confusing. The names earth and ocher are suitable when it is clear that the pigment comes from a natural source. Earth is a more general term, since ocher refers to a specific type of iron oxide deposit containing kaolin (clay) and quartz. 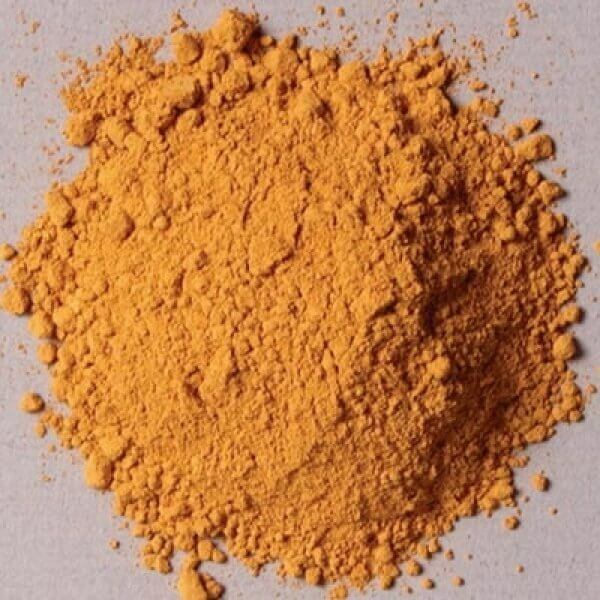 To be considered an ocher, for example, the content of iron oxide must not be less than 12%. Depending upon the content of hydrated iron oxide, the color of ocher varies from light yellow to orange-red. Like red iron oxides (hematite), they are found around the world and have been used as pigments since prehistory. French ocher, historically one of the best grades of ocher, contains about 20% iron oxide and is high in silica. Ocher absorbs a moderately high amount of oil. The oil absorption ratio is 30–45 parts by weight of linseed oil to 100 parts by weight of pigment . If the measurement were grams, Italian yellow earth would require 30–45 grams of linseed oil to grind 100 grams of pigment to form a stiff paste. It slows the drying of oil paint, but forms an excellent film.